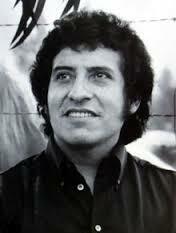 I have known and admired Victor Jara’s songs since I was a little girl. “Plegaria a un labrador” (Prayer to a farmer), “El alma llena de banderas” (A soul full of flags), “Las casitas del barrio alto” (The houses of the rich neighborhoods), “Ni chicha ni limoná”(Nor ‘chicha’ nor lemonade) and many other songs of his will always be a part of my personal patrimony and my singing arsenal, because of their messages and for their extraordinary quality. At the same time, I was invited to be part of the Cuban team that helped organize the Peace without Borders Concert last Sunday September 20. From my point of view, what happened that day at the Revolution Square was transcendent for Cuba, for our young people and for our country’s image in the world. I was there; I felt the public, for the most part young people, vibrate. It was neither a trivial neither a hysterical mass of people. They knew all that had happened in Miami, the pressure they had put on Juanes, the acts of barbarism and fascism to force him to cancel the project. When they shouted “Cuba, Cuba, Cuba”, with the public’s commitment to the success of the concert, we sent our message to the world. For all these reasons, the “Letter to Victor Jara” written by Carlos Alberto Ruiz published today in Rebellion particularly irritated me. Although I have always written on topics of my specialty, I feel compelled to comment on it, on the cultural policies of my country, and with judgments of a different character that appear in it. As a musicologist, I know perfectly well where the so-called entertainment industry is going, how banality is cultivated by it. They manufacture and promote false idols at a global level. Nobody has to give us lessons on that. I also know how hard Cuban musical institutions try to intelligently counteract the influence on our young people of those frivolous and commercial currents flooding the planet today. Although we are under its permanent influence, we work daily to promote talent. And, to establish the authentic artistic hierarchies of all times, of Cuba and of the world. Thanks to this, ours is one of the very few countries in which the people prefer their own music. It was moving to be at the Square when a million youths sang “Ojala” with Silvio Rodríguez, or with Danny Rivera, “Your Town is My Town”, and with Amaury Pérez “Hacerte Venir” (Make You Come to Me). It was great to dance with them to the rhythm of the anthological potpourri 70s songs of Los Van Van. It closed to the music of Compay Segundo’s “Chan Chan”, intoning verses of Jose Marti. It was the most moving and intense moment in the concert and a homage to our roots, to our traditional music, to the ideas of Jose Marti, to our culture, to what we have been and to what we will continue to be as Cubans. Without a doubt, not everything we listened to there had the same artistic level. Some of these moments will be ephemeral; but most of them will remain in the minds and souls of all Cubans: those that were there and those that enjoyed the show on television. Carlos Alberto Ruiz reminds us how in this superficial world a pseudo culture without marrow and forgetfulness is being imposed. 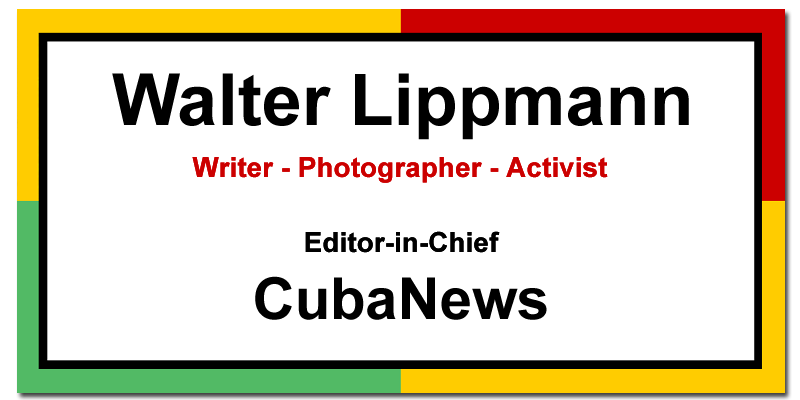 He dares to confront Victor Jara’s image to Cuba today. Our country has never ceased to promote Victor Jara’s songs, thought and example. Among the first transcriptions made of his compositions, we find those made by Cuban teacher Jesus Ortega, published in 1978 in Boletinmúsica of Casa de las Americas called Victor Jara Speaks and Sings. The “International Meeting against Terrorism, for Truth and Justice” was an historical event, presided over by Fidel the whole time. It was held in Havana, in June 2005. More than 600 intellectuals, artists, social fighters and political leaders of 60 countries participated. This event culminated with a beautiful and very moving homage to Victor at the Karl Marx Theater. To an overflowing public, figures of the revolutionary song of several Latin American countries paid tribute to him with their art. In the 2007 edition of Cubadisco, the main Cuban musical event, Victor Jara was paid tribute and received, as he deserves, the Prize of Honor. This event was widely broadcast to our people. In their colloquy, dedicated in that occasion to the “necessary Song” (as expressed by Alí Primera), topics like alternative discography and the strategy to take songs with social content and commitment to the large masses were discussed. From these discussions the idea of creating a discography label called ALBA (Dawn) arose. This was recently approved by the summit of the countries that integrate it, and it was decided that among the first productions they would include an anthology of Victor Jara’s songs. Last year, Professor Leo Brouwer organized it and directed in Havana the “Victor Jara in memoriam: 35 years later” concert. It included the premiere of two pieces composed by Professor Leo for this concert: “Variations on a Victor Jara theme for guitar” and “Elegy to Victor Jara”. Important groups and soloists from Cuba and Latin America also participated in this concert. All these years, Cuba has published in disks, cassettes and cds all the recordings of Victor’s concerts in Cuba. The most recent edition was made by Casa de las Americas (the recordings of a concert Victor offered in that emblematic institution on March 1972). It was presented in February this year, at the International Book Fair dedicated to Chile, in the collection “Music of this America”. The cd’s of that same collection Hasta Siempre and Che querido, also in that Fair, were presented as a tribute to the Heroic Guerilla by different Latin American singers. Also Victor’s CD Compañero Presidente, with songs from Silvio, Pablo and other singers dedicated to Salvador Allende. The magazine Boletinmúsica ode Casa de las Americas dedicated a number in dedicated to the 1967 Protest Song Meeting 40 years after its celebration. In that edition, there is a special dossier, “Victor Jara in us”, dedicated to his life and his example. Thereis also a Leonardo Acosta article on a book in remembrance of Alí Primera and interviews to Daniel Viglietti, Caesar Isela, Pancho Villa, Ricardo Darts and other figures of different generations that cultivate protest songs in our region. The list of actions that Cuban institutions and artists promote against the tyranny of the market having Victor Jara as a reference figure of an art divorced from commercial concessions could be endless. It would be enough to go through the digital publications of institutions like Casa de las Americas (www.casadelasamericas.org) , Center Pablo de la Torriente Brau (www.centropablo.cult.cu) , the magazine Clave of the Cuban Music Institute (www.clave.icm.cu) , La Jiribilla ( www.lajiribilla.cu ) or CUBARTE webpage (www.cubarte.cult.cu ) to understand the real meaning of our cultural policy and how far are we from promoting banality. I had the privilege from the beginning of knowing how this concert’s project originated, supported without hesitation by some of Cuba’s exceptional creators, who belong not only to the vanguard of our culture, but also to that of the Spanish-speaking world. They have nothing to do with the aesthetics of some of the artists that visited us and who don’t need these types of actions for their professional promotion. They have an enormous prestige among our people and with other countries’ public. They participated simply because they understood the meaning this concert would have for Cuba. Once again, like in these past fifty years, Fidel put facts in their proper place. Although I read Fidel’s book Peace in Colombia with a lot of interest , I don’t know the history of that country in detail neither do I feel I’m prepared to forward an opinion on it. Much less, can I speak about how they perceive Juanes politically there. What I do know is the history of my homeland and the principles that guide it. I know that, like Victor Jara, revolutionary Cubans will know how to defend our dignity and our principles.